Let me first introduce myself; I am Gerard Nieborg a webdeveloper from the Netherlands. 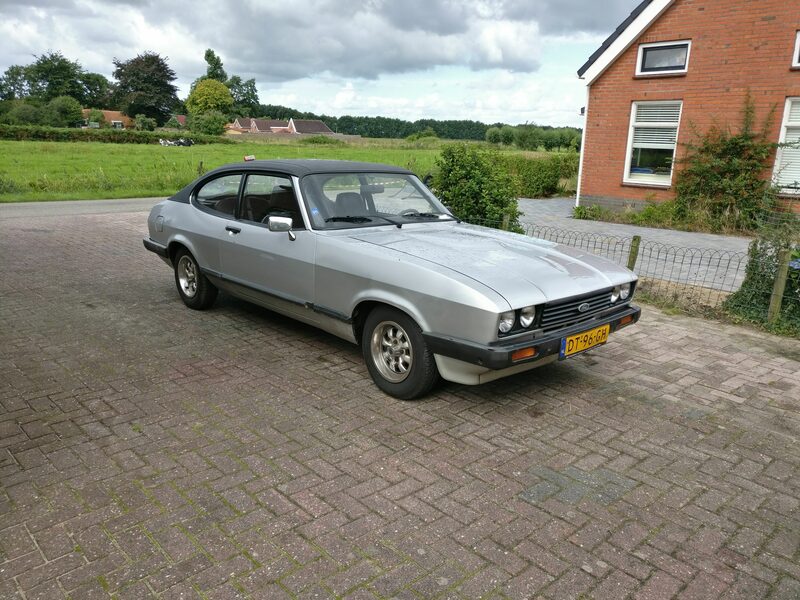 A couple of years ago I bought my first car: a Ford Capri from 1979. 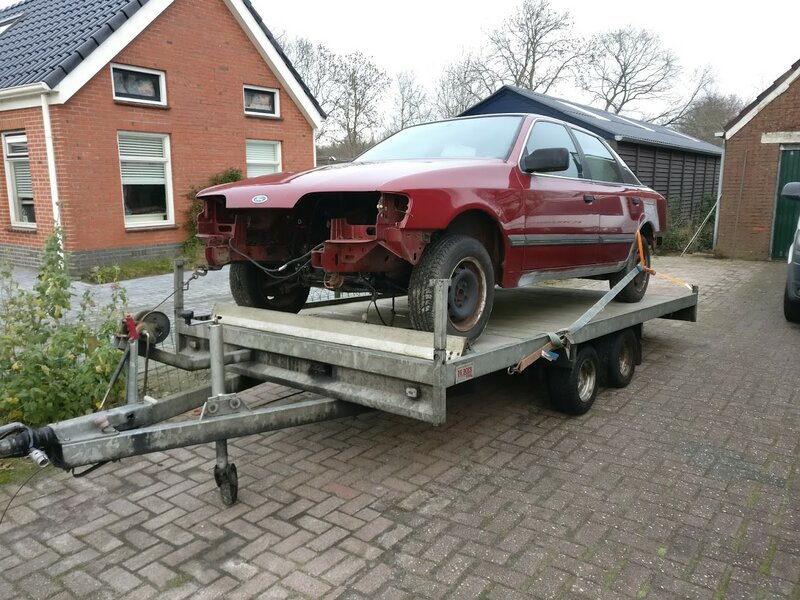 Last summer I did a lot of work to the car to make it pass APK (MOT), it was mostly welding, fillier, sanding and painting. The car passed, without problems. Before I start to complain I must say: I really love this piece of rust! There are some problems with it: it's always been noisy, runs on 3 cilinders, leaks oil everywhere (probably too much for the next APK) and sometimes doesn't want to shift gears. It's been noisy since the day I got the car. 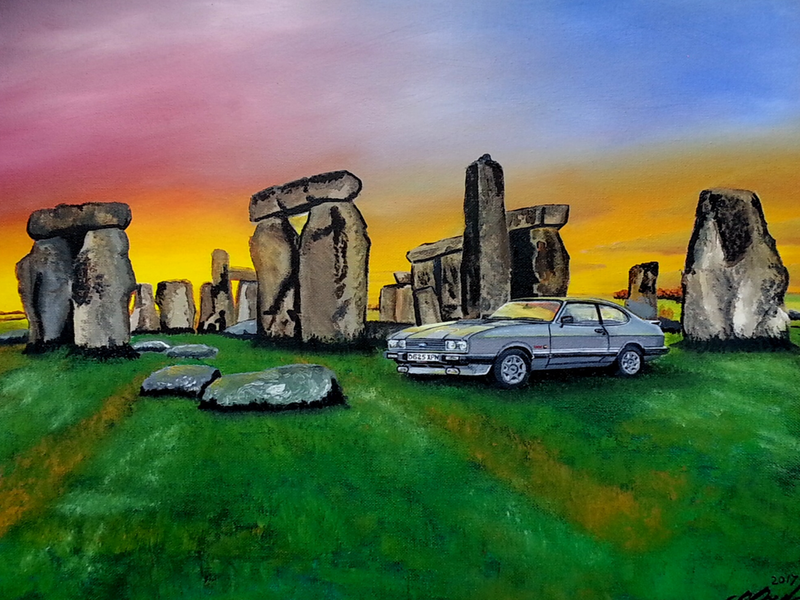 Last year I bought a 5 speed gearbox (T9) from a Ford Sierra. At that moment I was convinced the car would be a more quiet with a 5 speed gearbox. I wanted to put that gearbox in my car. 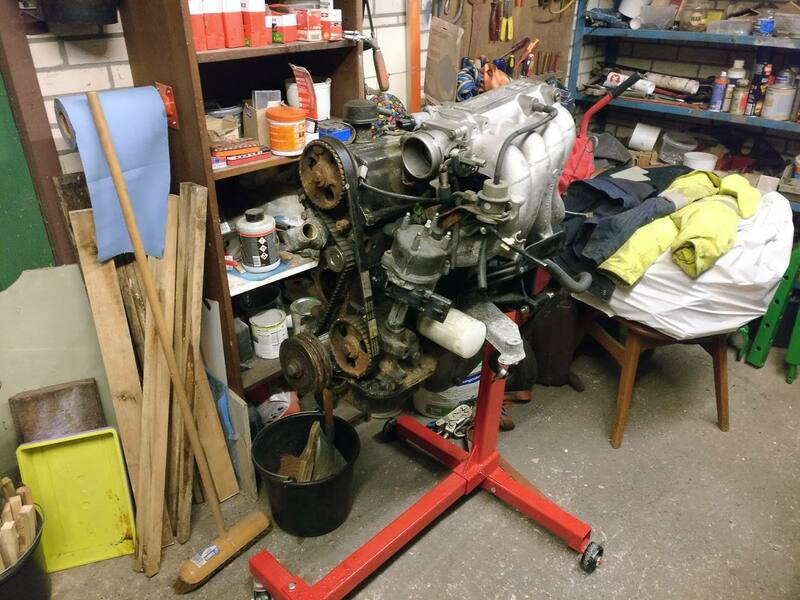 Eventually came to the conclusion that the 1.6 Liter engine isn't strong enough for a 5 speed gearbox, so left it in my garage. 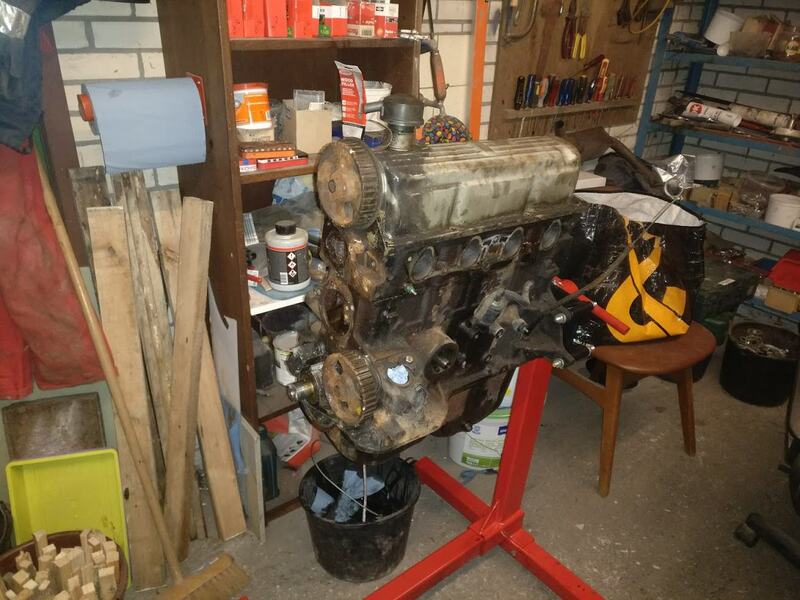 So I came up with another plan: I was going to put in a 2 Liter Ford OHC engine: It will bolt in straight away and it's not too hard too make it street legal. 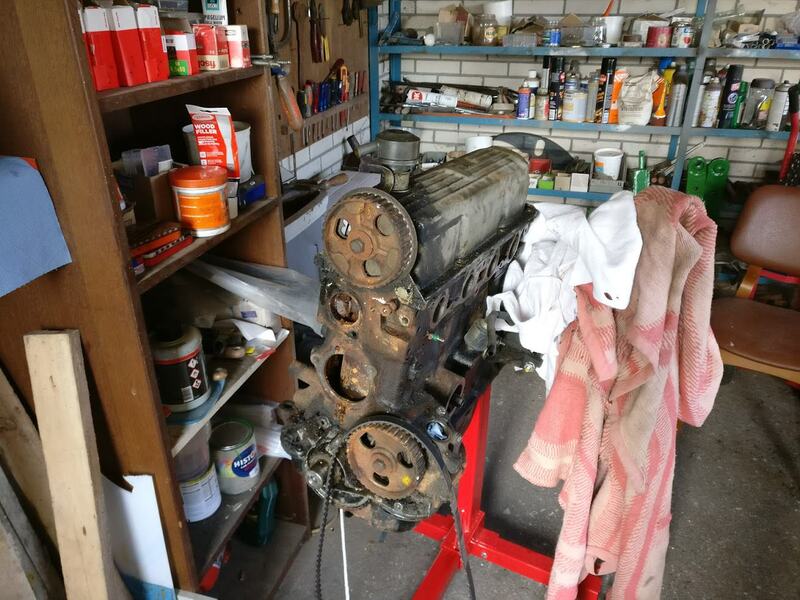 The biggest problem was finding an engine (at least one I could afford), a 2 Liter engine will set you back around € 400 - €500, some are cheaper but have to be completely rebuild. The injection version can set you back even more, around € 500 - 800. I have been searching for quite a long time and couldn't find anything within the Netherlands. So constantly I checked sites like Ebay, Autoscout24 and Marktplaats. 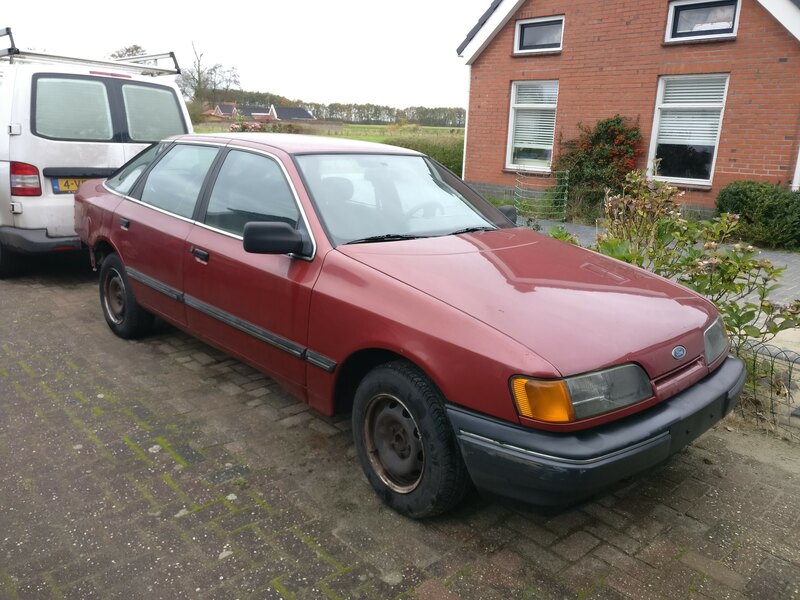 Eventually I found a cheap Ford Scorpio 2 Liter on "Ebay Kleinanzeigen" in Germany, near Osnabrück. So a couple of weeks ago I went there to check the car out (3 hour trip ). The car looked like it was exactly what I was looking for. It only had one small problem: the engine doesn't run . 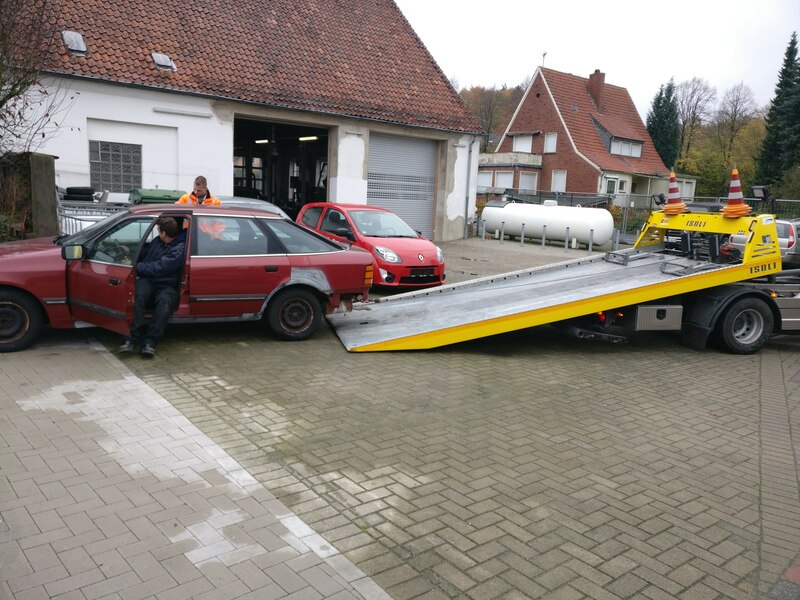 So a week later we went to germany with a towtruck to pick up the Ford Scorpio. The Scorpio was just € 300 and it's a complete car with all the parts still on it. I hope you guys thinks this is interesting, I plan on keeping the updated as I get more stuff done on the car. Truth be told: I have never done anything like this before. Last edited by hellum on Tue Nov 28, 2017 9:16 pm, edited 2 times in total. It sounds like a reasonable first project, hopefully you won't come acroos any major issues. However, fitting the steering rack might be a bit of a bother. If you would like PAS why not fit a 2.8 rack instead? The Scorpio looks to be almost a complete car. By stripping it for parts to sell you should be able to get your money back, and maybe even a little extra to help finance your project. I look forward to reading updates. So what’s up with the Scorpio? The previous owner did a lot of work to the car. He wanted to restore it completely. The guy has done a lot of welding on the car already, also put on new break lines, a new radiator, new tires and a new timing belt. Why did he stop? He told me he didn’t have enough time to finish car. I personally think he didn’t anticipate the amount of rust on the car and just gave up on it. You can poke through the bottom near the rear axle and the sills are completely gone on both sides. Then there’s still the main question: Why doesn’t it run? Well it might, I haven’t tried it yet. When the previous owner replaced the timing belt, he forgot to put back the timing belt guide. When I checked out the car he showed it to me and told me he was too scared to start the car, because the timing belt would probably come loose. We did however take out the spark plugs and did a compression test with a starter booster. It turned around fine (so the timing is correct) and had more or less equal compression on all four cylinders. To even try to start the car I have to put the timing belt guide back in. Unfortunately it got lost in transport, so I had to order a new one. The new one arrived today! 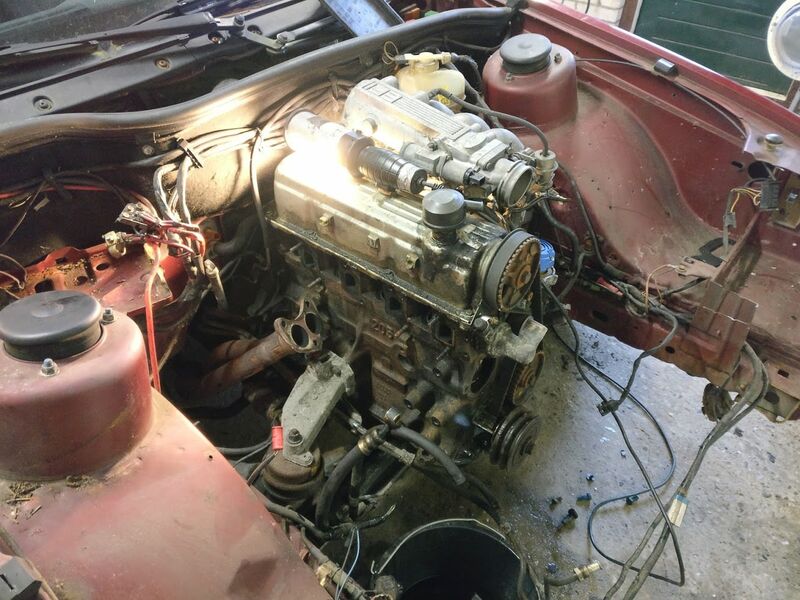 This Saturday I will put it in, so I can finally try to start the engine! 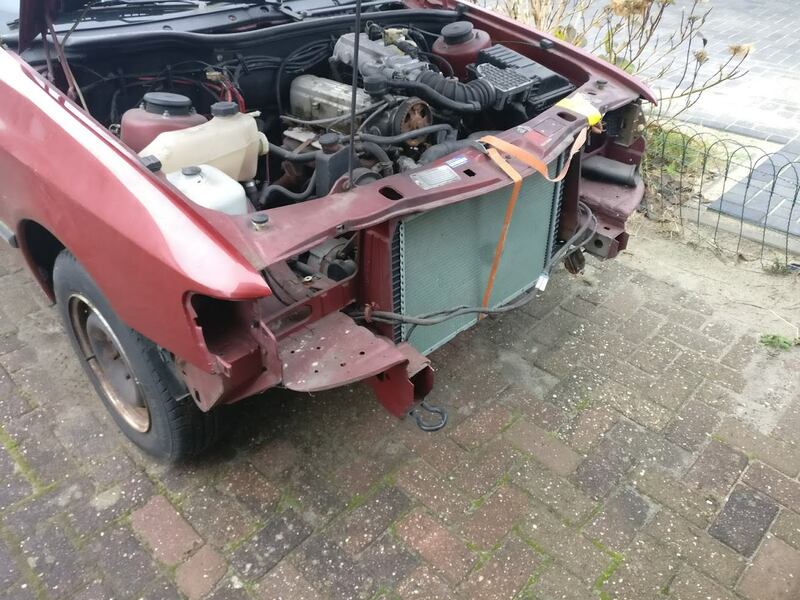 Looks like a good project and the Capri looks great. I agree with what Andrew said about using the 2.8i power steering rack - possibly some 2.0(V6) and 2.3(V6) models in Europe were also fitted with power steering. If your Scorpio engine is a fuel injected you will also have to fit a 2.8i fuel tank due to the need for a swirl chamber for the injection system to function correctly. Might be possible but I would have thought the Capri rack is somewhat narrower. Good luck with the project anyway, I'll be keeping an interested eye out. Long overdue for an update. Around Christmas I replaced the timing-belt and the washer. Cleaned the spark-plugs and put in a battery. The car ran right away. To make room to in the car, I simply cut the front out of the car. So the engine ran for a short while and car moved on it’s own, so I decided to pull the engine from the car. 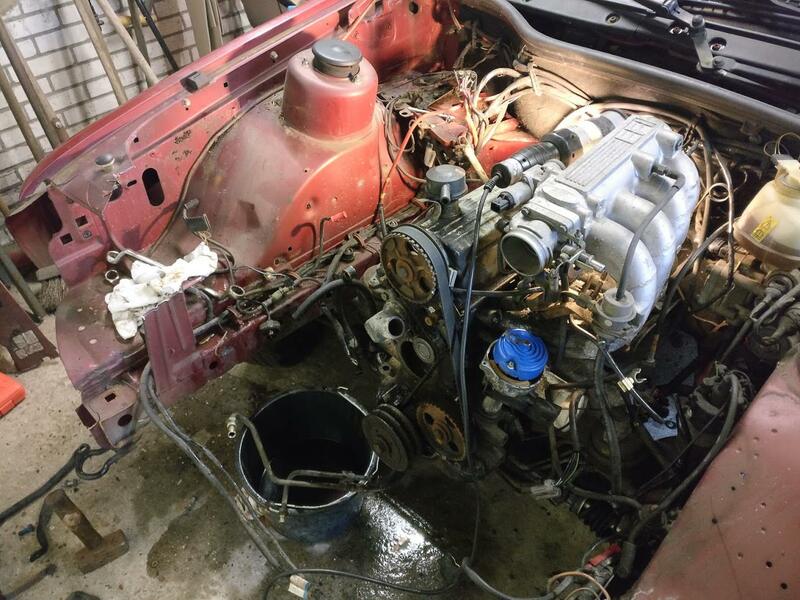 I started by removing everything from the engine bay, that I could (which was way more then I expected). After that I cut the bolts that connect the gearbox to the driveshaft, couldn’t get them loose and I honestly couldn’t care less about that automatic transmission. 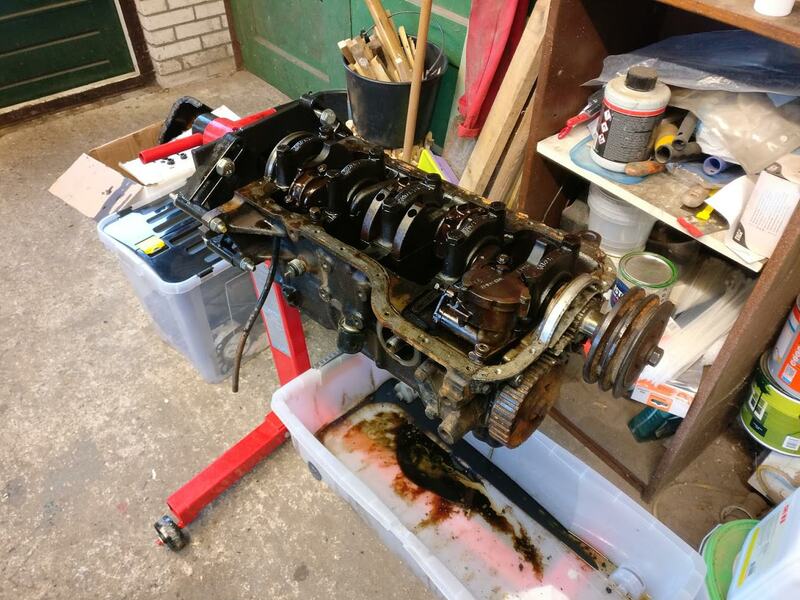 Then I simple removed the engine with the gearbox attached using a small engine crane. Everything went well, until I damaged a seal in the gearbox (which I didn’t drain). The oil was everywhere in the shed. 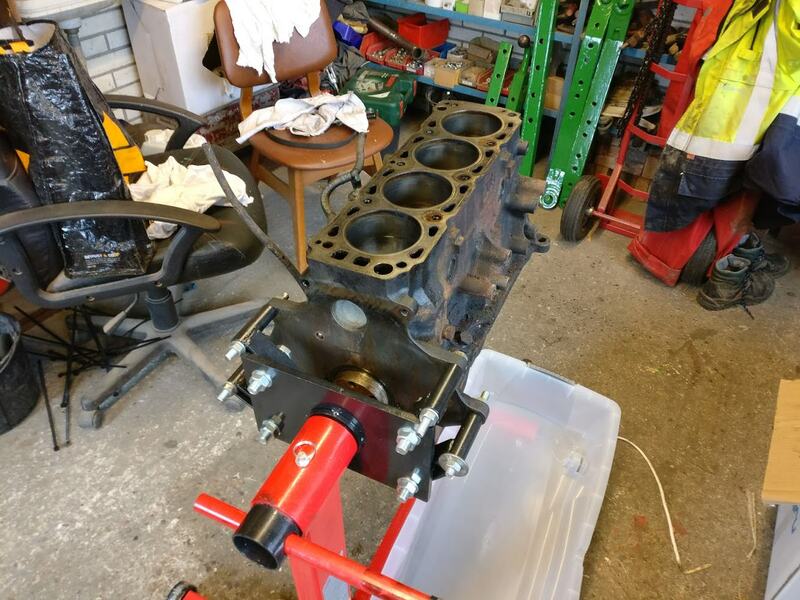 When I was done cleaning up my mess, I removed the gearbox from the engine and put it on an engine stand. And I sold Scorpio, the guy paid me what I paid for the complete car, So I can’t complain: free engine! Don't think this needs any explaination, although the project is going really slow. I can only work on it on saturdays and only when nothing else comes up. 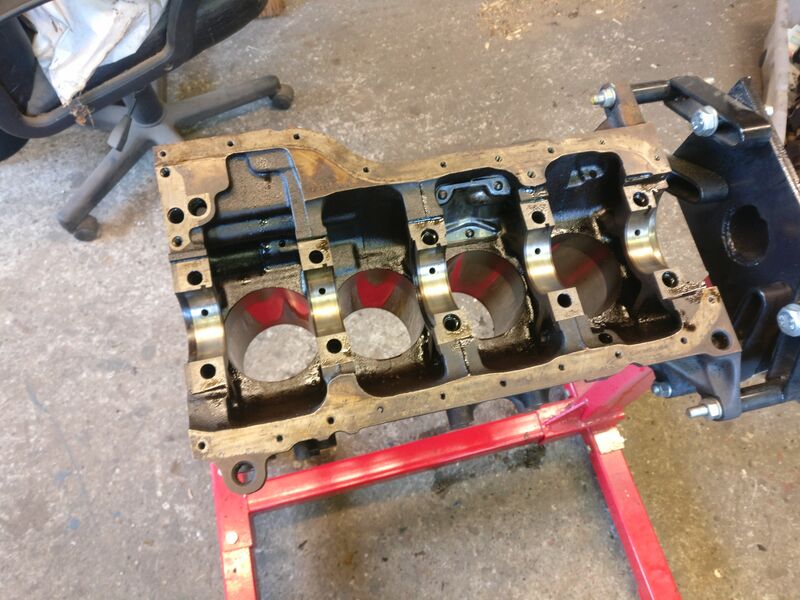 I am facing a problem right now, I can't get crankshaft bolts out, I don't have the guts to use a hammer because I am afraid I will break off the bolts. What are you using? Possibly a longer handled wrench. A torque wrench should do it. Is it the crankshaft bearings that are tight ? They do take a bit of force but as has been said a longer bar or wrench will help. I tackled them with a length of iron gas pipe on a T bar when i last rebuilt a Pinto engine. Get someone to hold the engine steady or if no one is available jut put the engine up against a wall when you undo the bolts.